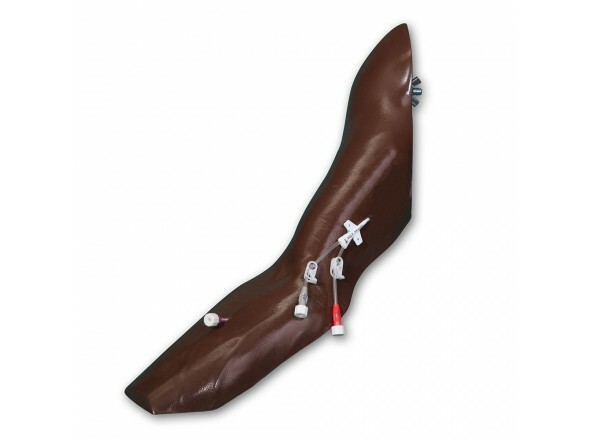 The Standard Arm - 2388 , which can be ordered to upgrade your existing Chester Chest, has a dual lumen 5Fr PICC (Peripherally Inserted Central Catheter) exiting the basilic vein from the inner bicep area, which is currently the preferred placement. The basilic vein is slightly raised for easy identification. An additional feature of the new arm is a pre-positioned 20g IV Catheter in the forearm. The New Advanced Arm has a greater degree of rotation and extension than our previous arm, just as you would experience on a patient when accessing the PICC. 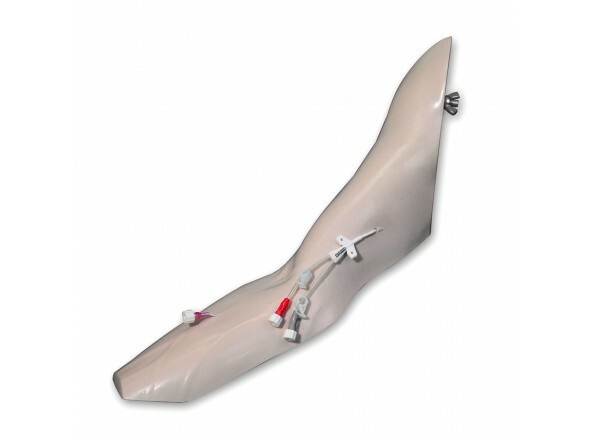 The dual PICC and 20g IV Catheter are attached to a simulated blood reservoir bag in the arm to permit the practice of "blood" withdrawal and fluid infusion. 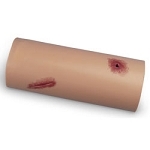 Cleansing, application of dressings and securement devices can also be demonstrated at all sites. The Standard Arm will fit all Chester Chest models.